Our recent residential works include the extension, alteration or renovation of dwelling houses, new and old. The design of new residential dwelling houses or estate design. 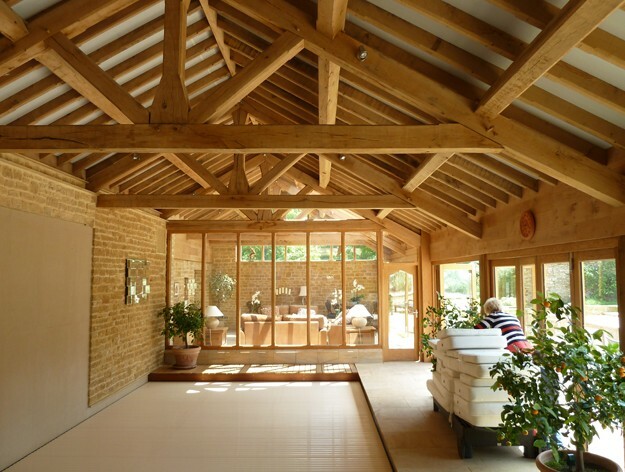 The conversion of agricultural barns into dwelling houses and Listed Building Consent applications for the alteration, renovation or repair of listed buildings. Design, renovation or extension of new or existing commercial buildings, with recent particular expertise in the design and refurbishment of care home and nursing home sectors. The design of sports pavilions. The design of modern industrial units, including the refurbishment of older, outdated units to provide modern energy-efficient and attractive industrial premises. Having completed and obtained Planning and Building Regulation Approvals the next most difficult and tortuous stage of the construction process is usually the appointment of the building contractor. The horrors of many building disputes are fairly well documented and have been featured in many television programmes. Alan has recently appeared in the BBC property programme Cowboy Trap investigating a case locally involving a dispute between a private property owner and building contractor. It is imperative that anybody carrying out any form of building work appoints a building contractor using a well-established and proven form of contract. We normally advocate the use of the Joint Contracts Tribunal (JCT) Form of Building Contract which is widely recognised and accepted by architects, surveyors, lawyers and contractors, and provides adequate protection to both client and contractor for unforeseen events during the course of the construction/alteration of the building. We are able to offer a range of services relating to the contract administration, providing the important link between client and contractor during the course of the project. This can take the form of limited inspections (normally carried out on a monthly site visit in order to value and inspect the work that has been completed during the preceding month). Alternatively, more intensive forms of site inspection and contract administration can be employed, utilising more frequent site visits to verify that the works are being carried out in accordance with the approved plans, Planning and Building Regulation Approvals and in accordance with the contract.